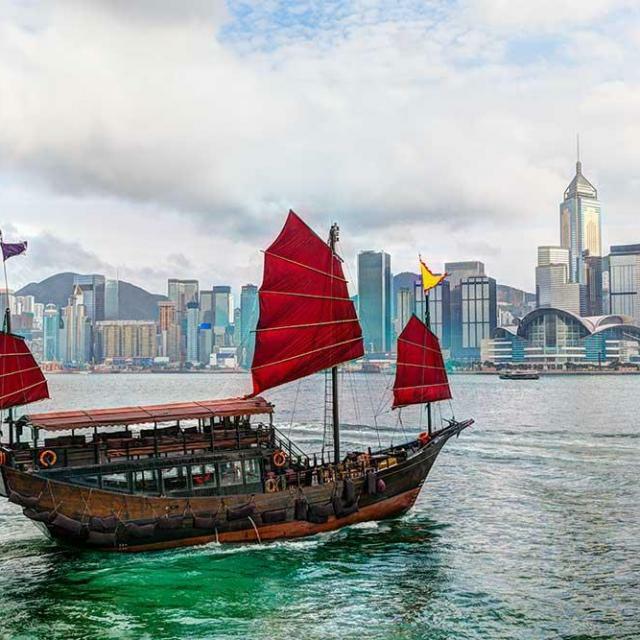 We are bringing the message of the kingdom and the Messianic Jewish perspective to Hong Kong, but we are not the first to enter the field. “This is a big theological shift. This room should be filled with pastors,” one Bible teacher told us after last night’s lectures. 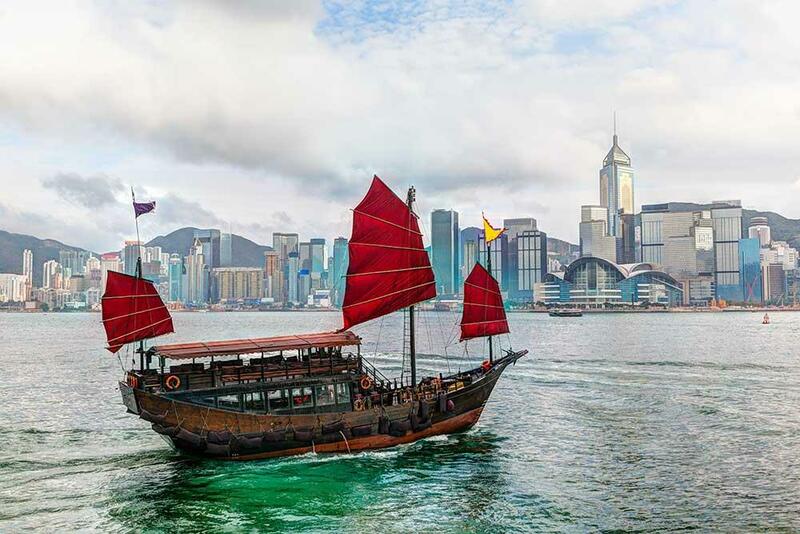 We are teaching here in Hong Kong to support the release of the Chinese version of my book The Holy Epistle to the Galatians and the HaYesod Student Workbook. Tonight, Boaz and I will introduce the group to the workbook and teach them how to use the HaYesod program. We are pleased to know that our efforts here are only the beginning of the work. Thanks to our sponsors HaDavar Yeshiva, we will be leaving solid materials in the hands of the local believers, in Chinese. Yesterday, Peter Wong of HaDavar Yeshiva and the Hong Kong representative of CMJ (Christian Mission to the Jews) took us out of Hong Kong proper to the more rural setting of Tsung Kyam Church Village where HaDavar recently bought a beautiful property with a 1936 brick house, which is going to become the home of a new Bible-land museum. 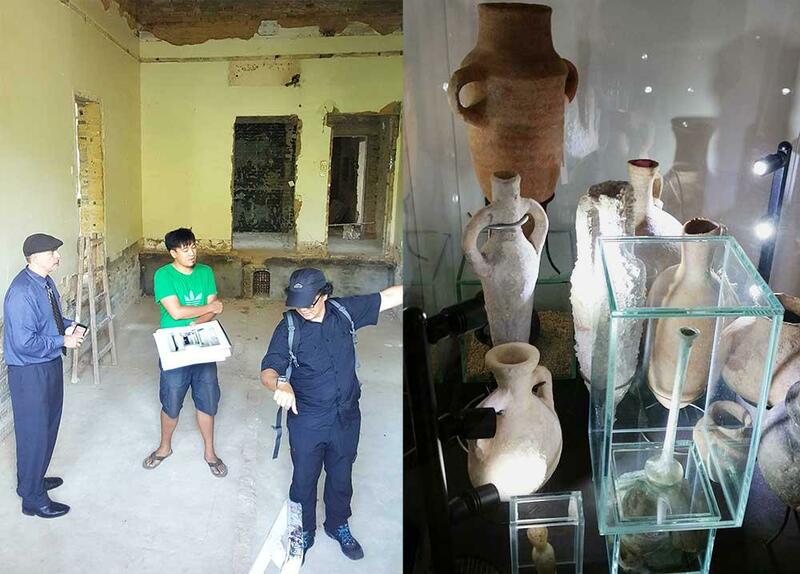 The museum will feature Peter Wong’s extensive collection of artifacts from Israel that are currently crammed into his small home at nearby Wing Ning Wai and a replica of the interior of a first-century Galilean synagogue. The property will be planted with a variety of biblical species, and it will feature an authentic and functional replica of a first-century mikvah that local Christians can utilize for baptisms. Actual construction on the property begins next week and the center should be completed and ready to receive visitors in about a year. After touring the property, the Wong family brought us to their home to see the collection of artifacts and replicas. They have amassed an impressive array of high-quality pieces, ranging from replicas of the Qumran jars, which housed the Dead Sea Scrolls, to Canaanite figurines to replicas of ancient inscriptions such as the warnings on the Soreg, the Theodotian inscription, and the inscription from Hezekiah’s tunnel. Here are oil lamps from different eras, net-weights and anchors from the Galilee, a satchel of thirty silver coins in the Syrian half-shekel, scrolls and fragments, models of the Temple, and pottery pieces representing the broad sweep of archaeological history in the land of Israel. On the roof of the home are biblical plants including olive trees, a fig tree, grapevine, rose of Sharon, and other varieties, ready for transplant to the new museum grounds. In the book store is a small collection of quality resources that HaDavar has already brought into Chinese. We are proud to have our works added to the collection. The Wongs and the staff at CMJ and HaDavar Yeshiva are well-studied, sober-minded, and serious students of the Bible who understand the significance of Messianic Judaism and the implications of a Jewish reading of the Bible. But they are not the only voices in town. 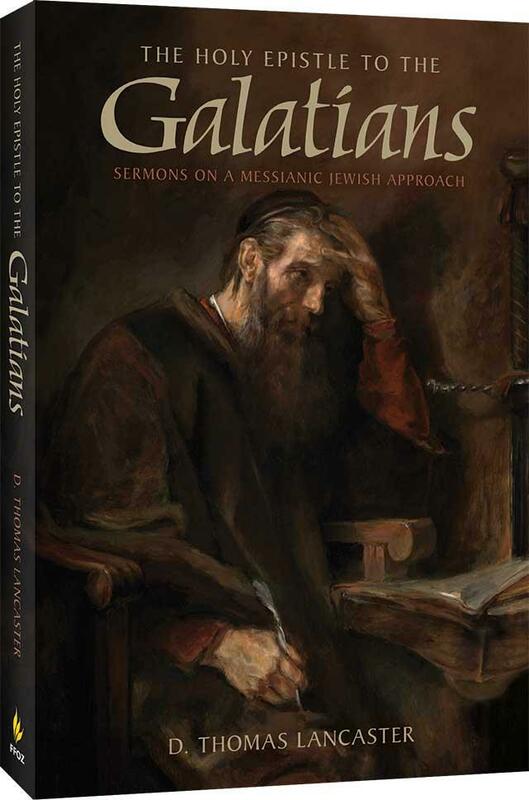 Several of the places we were originally scheduled to speak withdrew when they were warned by another Jewish Mission effort that we bring a divisive teaching, namely that the Torah should be literally observed today. On another front, CMJ and HaDavar received criticism for hosting us because of our pro-Israel theology. These are voices from Reform leaders who are warning, “The Israel of today is not the same as biblical Israel.” They have a theological motive to deny the ongoing covenant relationship between God and Israel and a political motive, driven by anti-Zionist sentiments, to deny the Jewish people’s right to exist in the land of Israel. Meanwhile, Hebrew Roots teachings are flourishing in China in all their robust weirdness. HaDavar Yeshiva has had difficulty differentiating itself from the shofar-blowing dance extravaganzas and strange teachings imported from the West. I was asked, “What do you think of the teaching that, if you are born in the month of October, you have the spiritual heritage of the tribe of Naphtali?” Really? It is disappointing to realize that we are coming to China with our message a little bit late in the game. Boaz Michael and Joseph Shulam's chance meeting in Hong Kong. But there are other representatives of Messianic Judaism here as well. 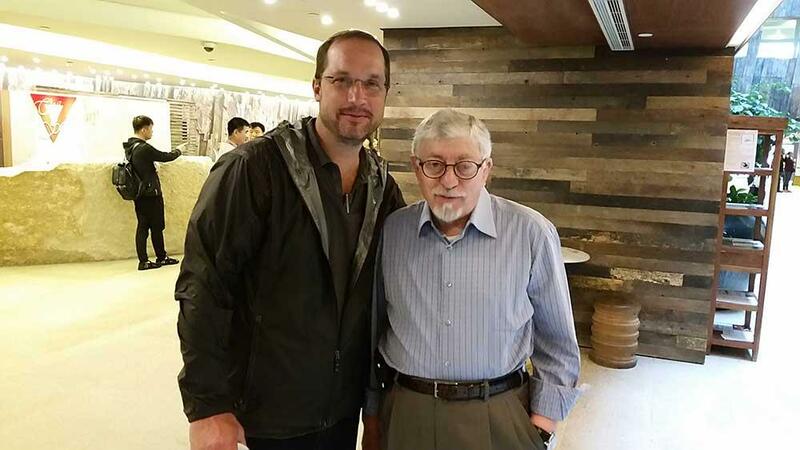 We were pleasantly surprised to run into an old friend in the lobby of the hotel this morning: Rabbi Joseph Shulam of the Messianic congregation Roeh Yisrael in Jerusalem is here in Hong Kong teaching too. He just happens to be with us in the same hotel and on the same floor. In a city this size with a population of over seven million, it’s a surprise to run into someone you know from half way around the world, doing the same work. The field is ripe for harvest, and Baruch HaShem, the Lord of the Harvest sends his workers.